 - Update on April 16th 2019 - Moving to full release. I've re-engineered my Ralliart and Evo X (RAX) ROM patches. RAX v3 now supersedes older patches. Some changes are "behind the scenes" stuff only, plus there is an entire new patch for us to play with. I've moved patch code/data locations around a bit, to ensure RAXv3 is usable with tephraXMOD V3. I've recoded most patches to make them a bit easier for me to auto-generate using a bulk XML file output program. 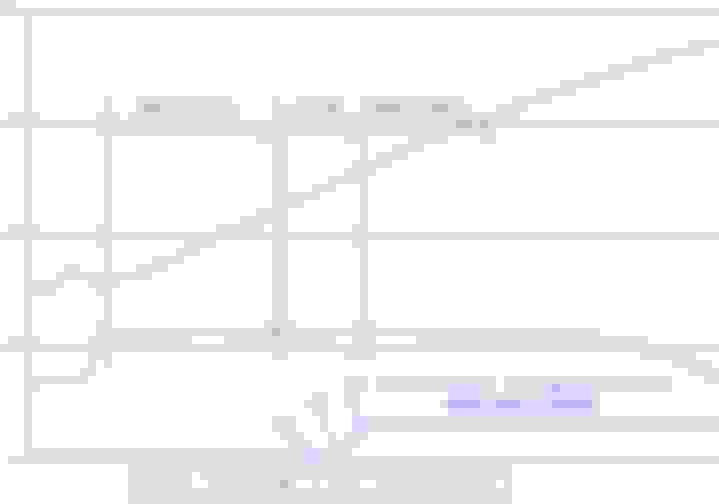 This adds a significant degree of consistency to patch generation, as you can imagine. I'm thinking of calling it SkyNet. Let's just hope it doesn't become self-aware! The "SST Upshift Boost Management" patch has been tweaked so as to allow us to configure a hard cap EC limit mid-upshift. For example, if your EC is +8% when you upshift, this patch can apply a hard EC cap of, say, 4% through the WOT upshift, to moderate the possible boost spike. Previously, this patch was hardcoded to enforce 0% EC during WOT upshift. All old RAX Patch items need to be removed from the ROM. All old RAX Patch xml files need to be removed from the EcuFlash data file folders. Only THEN should you copy in the new RAX3 xml file, restart EcuFlash, and patch your ROM. Incorrectly patched instructions can be extremely dangerous to your engine management, and can lead to severe engine damage. You assume ALL responsibility for the integrity of your ECU and engine management, vehicle safety, etc. If you are not confident in the procedures/data involved in the RAX Patch, do not make any change to your vehicle ECU's ROM image. It is important to testing any engine management change in a safe and thorough manner. Tests recommended in the related document are a guideline only. You assume ALL responsibility for the testing approach taken when using ECU ROM patches. 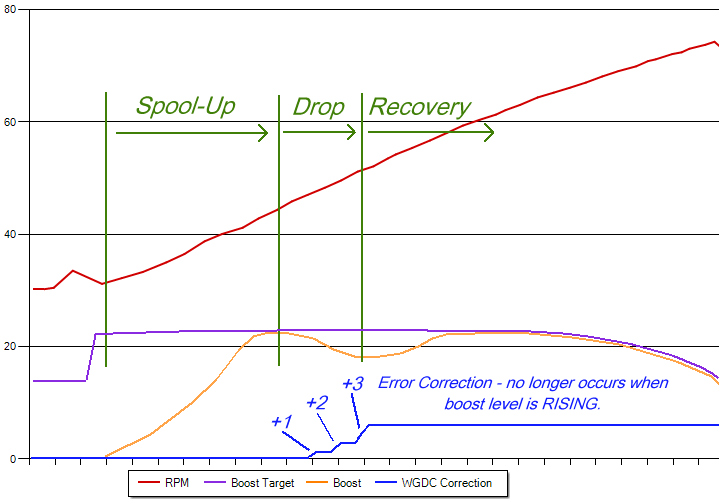 This makes it easier to tune upward EC adjustment to provide rapid, effective correction of below-target boost, without overshooting the target during the recovery phase. Some ROM IDs have been tested and verified. Some haven't. See the list below to see where we stand. It is REALLY important you keep your wits about you when trialling an "Untested" ECU patch. An "Untested" patch is not something you slap into your ROM, think "she'll be right, mate", and drive off to work with. There is a detailed PDF on RAX3 - see attachment. Pay particular attention to the section on TESTING. Most patches have diagnostic logging items built into them, enabling you to watch the patch logic at work using EvoScan. Don't cut corners. Don't take unnecessary leaps of faith when you can systematically verify correct operation through testing and diagnostics. If you test out a previously "Untested" patch, please let me know, so I can update the list below. I'll be noting here the ROM versions (and patches) that have been tested, and by whom. You'll be able to see at a glance what's been trialled successfully. 52680002.xml - TESTED OK - ALL PATCHES - S.D. Last edited by richardjh; Apr 16, 2019 at 07:36 AM. Email me your personal vehicle's ROM ID. I'll send you the RAX3 XML. As a reminder, please get in touch if you're interested in joining the RAX Patch Version 3 testing phase. 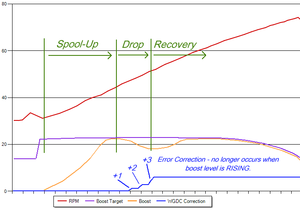 I really like the idea of the improved boost error correction! I am on 5557****, but my car is away for the winter. I am hoping the patch is validated by spring. But if not, I will be willing to test it out. Confirmation from itzwolf that RAX Patch v3 is working correctly in conjunction with tephraXModv3. Thanks a million! 53050012 tested out okay with tephraXModV3, thanks to polik71. 57140001 and 52360018 tested out okay. I tuned a 2008 GSR and verified RAXV3 Fast Logging, Baro Boost, and IAT Correction all work properly with Tephra V3 52680322 (52680015.xml). Also, I've been testing RAX v3 + tephraXMod v3 together on my Ralliart. I've updated the big list. It's certainly looking promising. A couple more verified tests in the bag, and I'll hit the "launch" button on RAX v3! 52680002 added. This is Evo X 2015 FE. Quick Reply: "RAX Patch Version 3 - Official and Latest"